Distracted driving accidents claim the lives of approximately nine people every day, according to the Centers for Disease Control and Prevention (CDC). Texting behind the wheel is one of the most common and dangerous forms of distracted driving. Crashes in which driver distraction is suspected often require investigation beyond interviews with the involved parties for police reports and insurance purposes. It may be necessary, for example, to review a driver’s cell phone records. The Boston attorneys at Jason Stone Injury Lawyers are dedicated to helping injury victims recover the financial security they need to cope with medical expenses and other damages. If you were hurt in a crash that may have been caused by a distracted driver, call us today at 800-577-5188 or contact us online for your free consultation. Our experienced personal injury lawyers are ready to hear your story and fight on your behalf, and we don’t get paid until you get paid: That’s the Stone Cold Guarantee®. Massachusetts law prohibits all drivers from using cell phones and other mobile devices to text or email while behind the wheel. This rule applies even if a person is stopped in traffic, and it is a primary law, which means law enforcement can pull you over and cite you even if you haven’t committed another traffic violation. Drivers under age 18 face stricter provisions. All drivers younger than 18-years-old are banned from cell phone use—both talking and texting, even with hands-free technology. This is also a primary law. In 2017, the Massachusetts state Senate approved a bill that would prohibit the use of all handheld devices while driving. If the bill is eventually approved by the House in 2018, hands-free technology would be mandatory to dial or talk on a phone while operating a motor vehicle. There are also some federal restrictions designed to reduce distracted driving crashes. Commercial vehicle drivers, public transit drivers, and drivers transporting hazardous materials are prohibited from talking or texting on handheld devices while behind the wheel. In the event that someone is injured or killed in a crash caused by distracted driving, the offending driver could have his or her license suspended and face criminal charges. In a landmark 2012 case, a Massachusetts teen became the first person convicted of vehicular homicide as a result of texting and driving. He was sent to jail for one year and his license was suspended for 15 years. 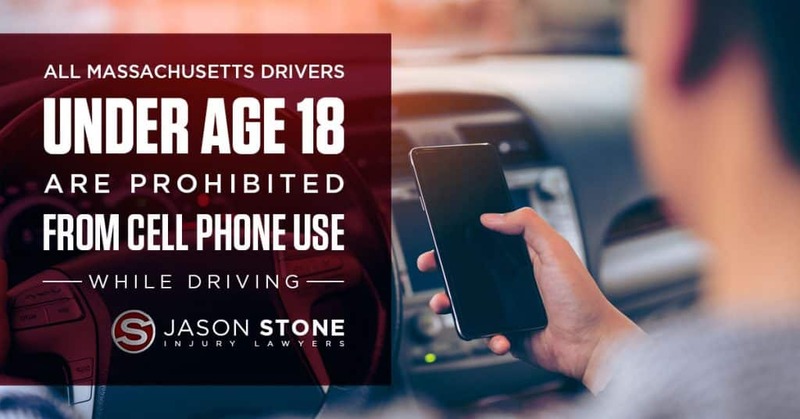 The Massachusetts Safe Driving Law and the pending distracted driving legislation focus specifically on texting and the use of mobile electronic devices like smartphones. However, there are other forms of driver distraction that can be equally dangerous. Searching through a purse, wallet, etc. While distracted driving laws don’t explicitly address these behaviors, distracted driving is any activity that diverts a driver’s attention away from operating his or her vehicle. Following a traffic accident, law enforcement and insurance adjusters assess the cause of the crash and make a determination of liability based on the evidence. Sometimes, offenders honestly explain their misconduct; other times, the facts behind what led to the crash must be unearthed through other means. For example, some newer commercial motor vehicles and passenger vehicles come equipped with event data recorders (EDRs) that log certain pre- and post-crash data about that vehicle’s operation. Cell phone information can also be collected to paint a picture of what happened seconds before a crash, and new evidence standards have been established to ensure relevant details are gathered on-scene. If you were hurt or a loved one was killed in a Boston traffic accident that may be related to distracted driving, you need a knowledgeable, aggressive legal team on your side. 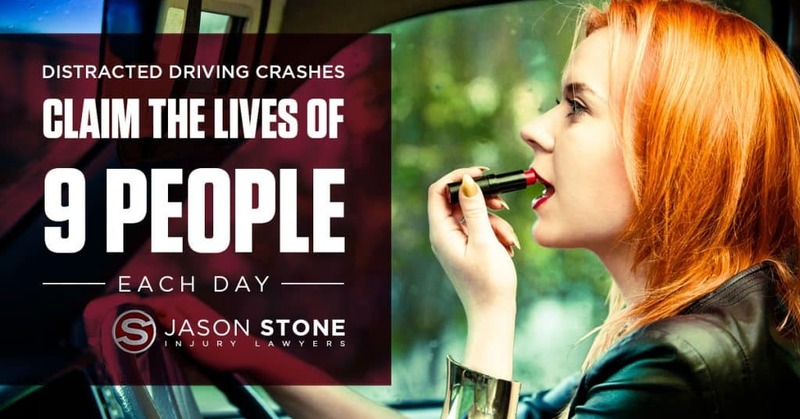 The attorneys at Jason Stone Injury Lawyers have an extensive record of success in crash-related injury cases, and we work hard to get injury victims and their families the money they need to restore their lives. Call us today at 800-577-5188 to schedule a free consultation or tell us about the accident online to get started now.